The troubles and subsequent changes at Volkswagen AG have led to an unforeseen departure. 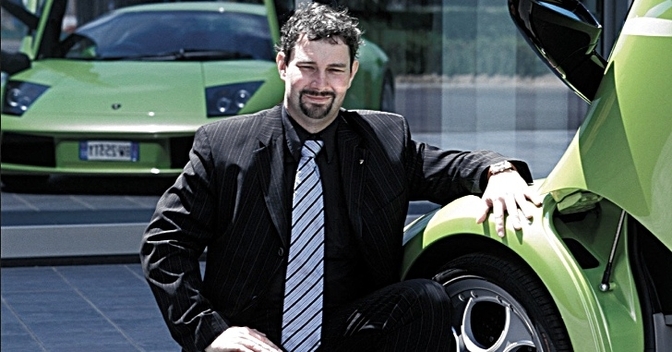 Walter de’ Silva, overall head of the entire group’s stylistic development and one of the most powerful men in this line of business, has chosen take early retirement, merely a few weeks after having become appointed president of Italdesign, Audi’s semi-independent design branch. The scene appeared to have been set for de’ Silva’s stepping aside over the next year or so. His post at Italdesign could be interpreted as a slightly more hands-on honorary post than usual, in a move clearly aimed at keeping him close to the VAG fold. This early retirement, on the other hand, can easily be interpreted as a gesture of dissatisfaction with the new management, led by Matthias Müller, and its policies. German news outlets are reporting that Müller and his staff are pursuing different ways to cut costs, at the same time as they are trying to make some sense of the ever-growing emissions scandal. Reportedly among said cuts is not just an abolishment of VAG group’s lavish pre-motor show parties (which are claimed to cost the company about €25 million per annum), but also a focus on increasing the various styling departments’ efficiency. This move seems to have sparked de’ Silva’s ire and may be the major reason behind his move. Other motivations can only be guessed at, such as personal antipathy (his rapport with Müller is unknown) or a sense of loyalty to his patron, Martin Winterkorn, who took him to Wolfsburg with him when he was appointed VAG CEO in 2007. Yet in the latter case, it would at least appear awkward that he did not leave his post in the immediate wake of Winterkorn’s dismissal. Who will succeed de’ Silva and in what capacity remains the subject of debates. Some sources report that Müller actually considers the post of group styling director itself to be superfluous and any authority above each brand’s styling bosses unnecessary. But in case that turns out to be incorrect, we can expect either Klaus Bischoff, styling director at VW brand (and one of the protagonists of ‘Steering Column Gate’, a – very minor – VAG scandal of yore), or Michael Mauer, who holds the same post at Porsche (and Müller’s own trusted collaborator), to take over. Expect an appraisal of de’ Silva’s career in general and his work at VAG in particular to be published at DTW in the near future. The first thing that occurred to me was that losing a decider (VAG) above the brands’ senior designers means conflicts will be resolved by a non-designer, not at all or in favour of the highest in the pecking order. None of those options are good for VAG. Even if a VAG-level design president costs €100,000 a year or even €200,000 a year, that’s cheaper than one single mistaken decision caused for the three reasons listed above. Let’s remember Citroen where Blakeslee was second fiddle and GM’s Rybicki era where he showed a lack of authority. I conclude that unless Mueller is mad, WdS will be replaced. The parties might be toned down though. I’d think that WdS’ VAG paycheque was considerably more impressive than €200.000 p.a., if certainly a fair few cents below Martin Winterkorn’s (past) annual income of €15 million and more. Maybe now would be a good time for Giugiaro to go back to VW Group with an offer to at least take his name back if not Italdesign altogether? They could use the money and an extra design studio wasn’t exactly core business. Hopefully his sudden retirement is not due to a health problem. You can’t rule such things out, I suppose. More likely is that if he is close to retirement and the next few years will be rough for VAG then it’s a good time to opt out and maybe do something less tiring. I doubt any health concerns are behind this move. It’s been stated that de’ Silva will remain attached to VAG as a consultant (as you do), which hints at a less than ideal, yet still by and large amicable split. My guess would be that de’ Silva feels too old and too saturated to take on drastic cuts and makeshift changes as his daily routine for the foreseeable future. He really hasn’t had to deal with such circumstances since his Fiat days, which actually was still a rather fruitful period, not least due to Paolo Cantarella’s management style. He probably, and understandably, wants to avoid having to endure a particularly testing period towards the end of his professional career. In the spirit of idle speculation maybe Walter will take a retirement consultancy working with Messrs Ive, Newson & co on an Apple Car. In other news on suddenly-departing VW group designers if this photo is any indication Luc Donckerwolke’s journey to the dark side is complete as Darth Schreyer’s apprentice. All black but with bright cuff-links? It’s a bit paramilitary, isn’t it? If he had chosen dark grey for the shirt and ommited the tie he would have avoided making a statement. As it is he’s shouting “Don’t look at me.” Black ties should be worn with caution: funerals or formal parties. 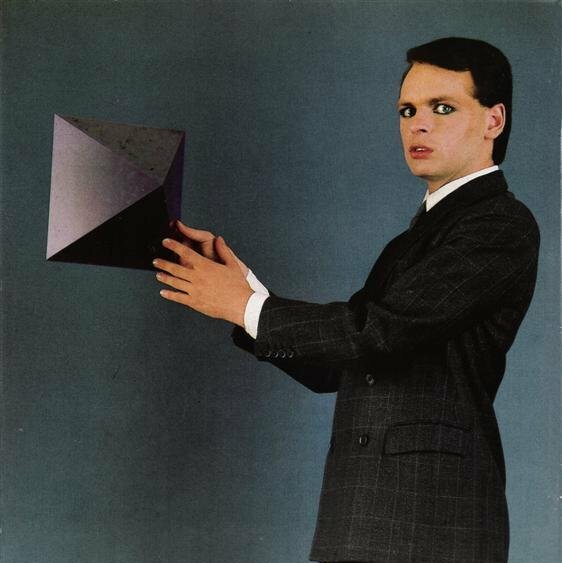 I know that to be a successful designer a bit of shameless self-promotion is required, but this picture suggests an 80s teenager contemplating himself in the bathroom mirror before departing for a Gary Numan concert. Possibly he thinks it’s more Kraftwerk … but no. Are car designers electric? Or still internal combustion-powered? Luc Donckerwolke looks like he fancies a shot at becoming the next Bond in those pictures. 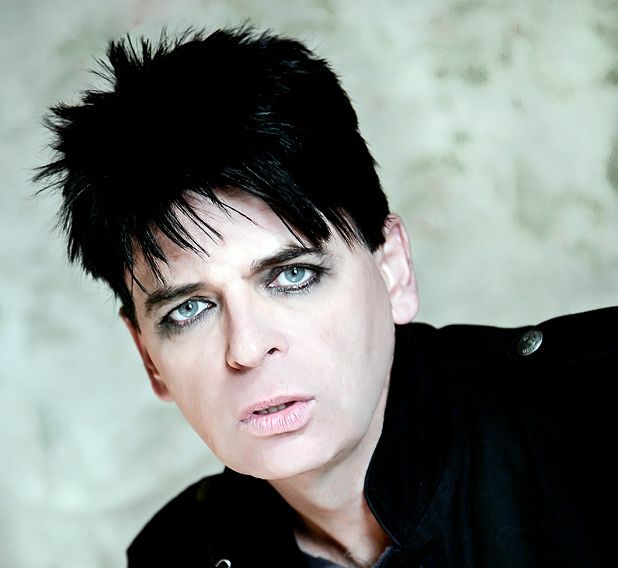 And that’s surely a photo of quite an old Gary Numan. Jokes aside, I think I’ll find it a sad day when De’ Silva finally puts down his pencil (if that’s not too pejorative), because the man clearly knows what’s what. even if he has been less revolutionary or high profile than the likes of Bangle and Giugiaro. That spell when he was in charge of design at Alfa was magic – it produced some of my favourite designs when he was there. I agree and would add his guidance of VW styling as another highpoint, with the current Polo and Golf VII standing particularly proud. At the same time, I found de’ Silva’s work at both Seat and Audi very underwhelming indeed. 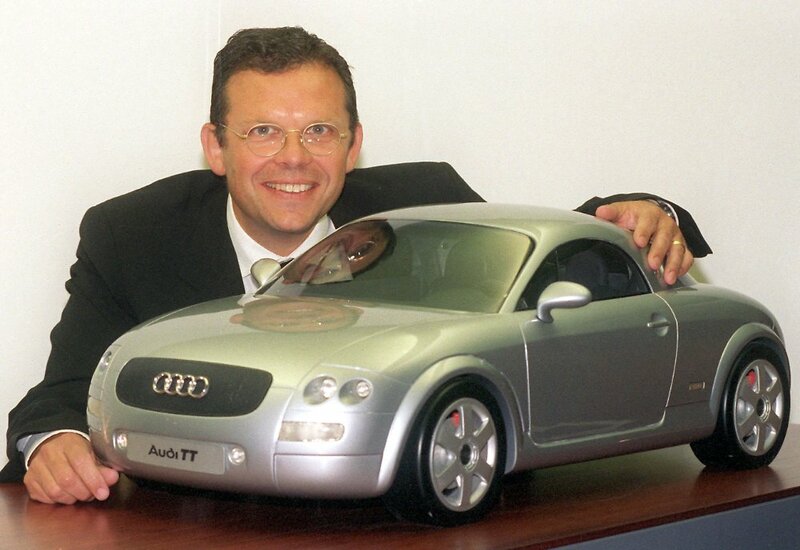 To me, he never really got a grip on those two brands, with disappointing results in Audi’s case in particular. Why he thought an approach equally rational as the one he later brought to VW unsuitable for Ingolstadt is mystifying. I am pleased to read that I am not alone in my appreciation of the current Polo, which most seem to damn as dull/ boring. They messed with the headlights in the facelift, but otherwise I agree that the current Polo is a near flawless design. I’m notorious for being a champion of the current Polo, especially before its facelift. Admittedly, its impact has been somewhat dulled by the sheer numbers one can spot on our roads each and every day, but like you two, I consider it almost without fault. S.V. : de’ Silva’s influence became apparent with the Seat Tango concept car first, to be made available to the car-buying public in the shape of the Altea MPV. Needless to say, I’m a big fan of neither. The first Audi with a whiff of de’ Silva fairy dust was the C6 A6, which was also first to feature the significant/ominous Tornado Line – need I say more? In contrast, I to this day admire the generation of Audis that came right before Winterkorn & de’ Silva took charge, such as the D3 A8. These cars are still very attractive, in my humble opinion. Kubrick, OK, so our similar appreciations diverge as I’m a fan of the Leon and Altea (not the XL version) of that era – the former was very influential in a number of designs that followed, most notably Richard’s beloved Astra (the one before that which has just been launched). It even begat an improving face-lift – such a rarity. And, much as I love the C5 A6 for its uncommonly characterful design, the C6 A6 is just so handsomely tailored and proportioned that I can put up with the Tornado line nonsense. Please don’t get me wrong, Steven, I don’t dislike the C6, it’s just that I find details like the Tornado Line and that chrome bar on the saloon’s boot lid a bit jarring and un-Audi-like. The C6’s interior, on the other hand, is still a thing of beauty and miles ahead of much that came later. And I’m not referring solely to the first Q7, but also the recently replaced A4, which were all penned under de’ Silva’s watchful eye.